Today, many farmers continue to store the waste in open pits despite the millions of dollars in private investment spent and years of research and political promises. The practice grows more hazardous with each hurricane that pounds the state. 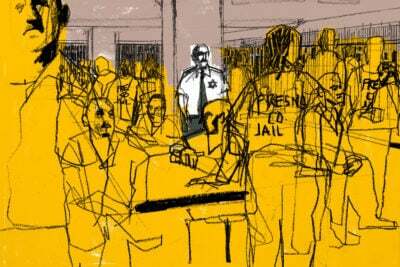 This story was co-published with The News & Observer in Raleigh, North Carolina. DUPLIN COUNTY, N.C. — The lagoons were supposed to be gone by now. Nearly 20 years ago, North Carolina faced a reckoning. Hurricane Floyd inundated the state, flooding the open pits where farmers store hog waste. The nation looked on in horror as pink sludge from the lagoons mingled with rising floodwaters to force stranded animals atop hog houses and drowned thousands of pigs. State officials vowed change and in 2000 delivered a plan. The centerpiece was an agreement with Smithfield Foods, the world’s leading pork producer and one of North Carolina’s biggest businesses. Smithfield agreed to finance research into alternatives to the lagoons and to install within three years whatever system emerged as environmentally effective and economically viable. In place of open-air lagoons would be a newer, safer system that put North Carolina on the cutting edge of commercial agriculture. Today, many North Carolina hog farmers continue to store hog waste in open pits despite the millions of dollars in private investment spent and years of research and political promises. Little has changed, storms are intensifying and the clock is ticking on the Smithfield agreement, which expires in 2025. The state has yet to come up a viable replacement system, and the momentum — and money — behind the research ran out years ago, leaving in place a crude practice that grows more hazardous with each hurricane that pounds North Carolina. In September, it was Florence, which dumped record-breaking rains on the state — 8 trillion gallons over four days — and swelled the Cape Fear River, which winds through this region. Thirty-three lagoons overflowed, the pink slurry again mixing with floodwaters. Now, nearly 20 years on, it’s not hard to see how the agreement was doomed. It sought transformative change, but lacked teeth. The all-or-nothing strategy meant that unless a perfect system was developed, nothing would change. The deal required the “substantial” elimination of odors, ammonia emissions, bacteria, soil and groundwater contamination, and waste discharges, yet it did not state what that threshold was or what costs the industry was obliged to absorb. The deal also was mum on the odors, pests and other nuisances that people who live near the lagoons continue to endure. In the end, the agreement let legislators avoid the messy work of defining restrictions for a politically influential industry, and instead it shifted that responsibility to academics. 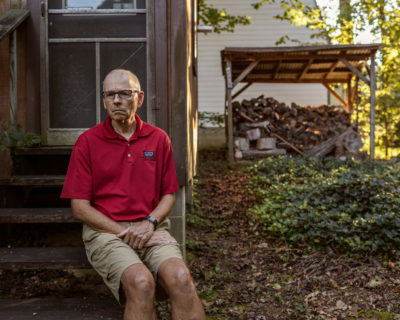 When no silver bullet emerged from the early research, the push for change waned as the country faced a staggering recession and North Carolina’s politics shifted rightward. This time, residents aren’t waiting for officials to deliver change. 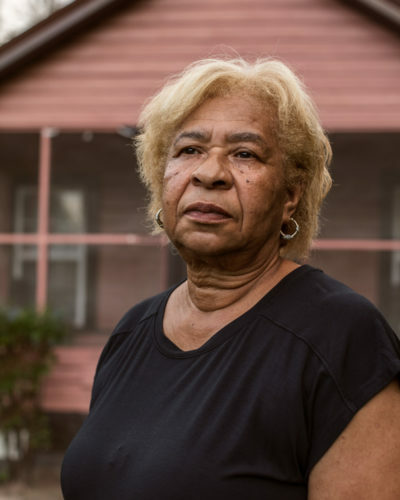 More than 500 residents have joined 26 nuisance lawsuits filed in federal court against a Smithfield subsidiary since 2014, arguing that living next to industrial hog operations forces them to live with noxious odors, flies and heavy truck traffic. The division between farmer and neighbor is palpable here — and falls along racial lines in a state where agriculture has its roots in the plantation system, and where Confederate monuments still stand on the Capitol’s grounds. Company CEO Kenneth M. Sullivan called the project “audacious” in a press release. Before it was hog country, eastern North Carolina was the home of Big Tobacco. But as the industry buckled under the weight of lawsuit settlements in the 1990s, pork supplanted cigarettes as the region’s economic engine. According to the USDA Census of Agriculture, in 1987, there were 6,921 hog farms and just about 2.5 million pigs in North Carolina. By 1997, there were fewer farms but more than 9.6 million pigs. That year, the state put a moratorium on new or expanded hog farms, and farmers rushed to complete their facilities before the deadline. The increase in supply flooded the market in 1998, bringing prices crashing down and forcing some smaller farms out of business. 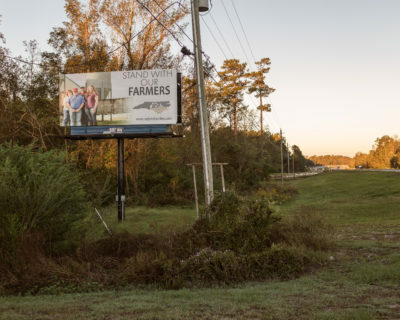 The destruction left behind by Hurricane Floyd forced others out of the market, while the state began its initial buyout of hog farms in the 100-year flood plain after the storm. There have been four more rounds of buyouts since then. The slats in a hog house floor allow manure and urine to fall through to pits beneath the houses. The wastewater is then sent to a large, earthen basin, or lagoon, nearby. Anaerobic bacteria in the lagoon break down the manure — similar to the process used for composting. The liquid can then be sprayed onto crops as fertilizer. There are roughly 3,300 permitted hog lagoons in North Carolina, according to the state’s Department of Environmental Quality, which regulates the structures. Today, portions of Duplin County look like a patchwork of light green fields — likely soybeans and corn — dappled with thick patches of forest. Long silver-topped buildings, hog houses, are lined up in rows, with black or pink shiny pools, hog lagoons, sitting to one side. State environmental standards require that lagoons be built to withstand 24 hours of rain, but new research shows that climate change is causing wetter hurricanes with more extreme rainfall to be more common. If the system fails, and lagoons breach or overtop, nutrients such as ammonia and nitrates may seep into rivers, stoking the growth of algae blooms that can choke out other aquatic life. But even when the system works exactly as it is supposed to, there are still issues for those who live near the lagoons or the crops where the waste is sprayed — people like Elsie Herring, a Wallace resident who is an environmental organizer and a plaintiff in a lawsuit against Smithfield. The North Carolina Pork Council defends the practice on its blog, saying reports of the smell and nuisance claims in the ongoing litigation are exaggerated. 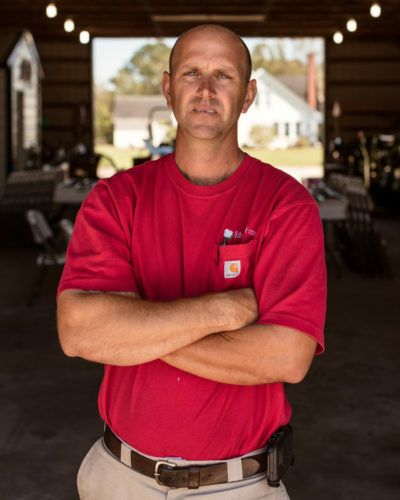 And farmers, like Justin Edwards of Beulaville, say lagoons are effective and safe. Edwards’ two hog houses are about a mile from his home, and they hold about 1,700 hogs. He uses the lagoon and sprayfield system to manage hog waste on his farm, spraying it on the 1,000 acres of corn, soybeans, wheat and cotton he also grows. The state’s efforts to change hog waste disposal had a dramatic starting point. That September, Hurricane Floyd hit. Public health fears about overflowing hog lagoons were a campaign issue, and a public relations nightmare for the hog industry. 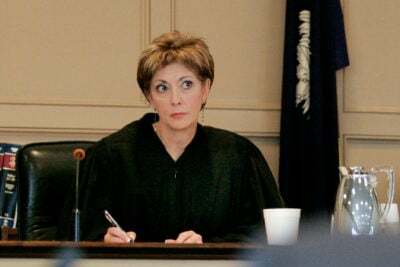 With public opinion turning, Easley, who was then the attorney general, told Smithfield it had a choice: negotiate a voluntary agreement or take a chance on a new administration. Easley was a candidate for governor. He promised that if he won, he would push for legislation to force the industry to change its waste management practices. On July 25, 2000, in the thick of the gubernatorial campaign, Smithfield entered into an agreement with Easley to find better technologies to manage waste from the company’s hog farms in the state. Smithfield committed to providing a total of $17 million for research at North Carolina State University into other waste management methods and agreed to install the chosen technology on its farms. The company also committed to donating $50 million over the next 25 years to programs that protect the state’s environment. “Nevertheless, all of us support the development of superior economically viable disposal technologies so that the swine industry, which is so vitally important to North Carolina's economy, can continue to prosper,” he said. Easley was elected governor that November. By then, Smithfield had grown from a small Virginia-based company to the producer of nearly one out of every seven hogs in the United States. Smithfield grew by buying up competitors, and in 2013, Shuanghui International Holdings Ltd. — now WH Group Ltd. — bought Smithfield for $4.7 billion. Today, the company exports ham, pork chops, sausages and other foods to more than 40 countries under labels such as Eckrich, Nathan’s Famous and Healthy Ones. It has some 54,000 employees in North America and Europe, and it recorded $15 billion in sales last year. For all its international reach, Smithfield still feels like a hometown company in North Carolina. Driving through Duplin County, the black-and-white signs marking a hog farm as a Smithfield affiliate are common, and a corporate office sits on the county’s western edge in Warsaw. Smithfield has 225 company-owned farms in North Carolina, in addition to contract farms and feed mills. Seven plants around the state produce everything from Italian stuffed breads and heat-to-eat products to bacon, fresh pork and cracklins. For years, the pork industry has exerted considerable influence over North Carolina politics, in part because in many areas, it’s the economic driver. 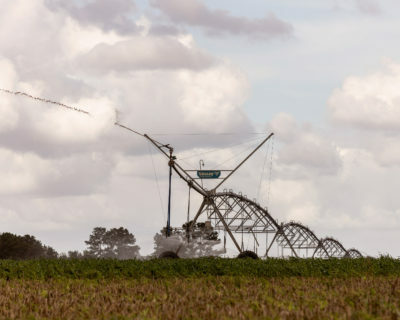 Eastern North Carolina’s agricultural areas, which grew out of plantations and slavery, lack the amenities that would draw economic investment or a new technology revolution, said Peter A. Coclanis, an economic historian at the University of North Carolina. All told, agriculture and agribusiness — from food and tobacco products to lumber and furniture and textiles — account for 17 percent of North Carolina’s economic output. 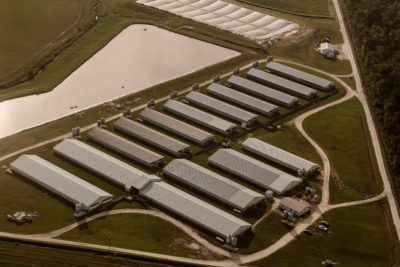 Hog farms constituted about 20 percent of the state’s agriculture revenue in 2016, bringing in $2.1 billion of the state’s $10.6 billion farm cash receipts, according to the state Agriculture Department. There are roughly 2,300 hog farms in North Carolina, according to the 2012 Agricultural census, the most data recent available. Legislators have been key in ensuring the industry stays firm in North Carolina. The agricultural industry as a whole has contributed $16.6 million to political candidates and campaigns since 2000, according to data from the National Institute on Money in Politics. The livestock and meat processing sectors have contributed more than $2 million within that same time period. Among all donors since 1996, the North Carolina Farm Bureau ($1,684,880), North Carolina Pork Council ($957,175) and Smithfield Foods ($406,600) are the leading contributors. From the beginning, the 2000 agreement allowed those in power to sidestep tighter regulation of the hog industry. Instead, the onus was on academia, and in particular C. Mike Williams. He’d grown up on a tobacco farm in Zebulon, studied poultry science and eventually earned his doctorate in nutrition at NC State. After a stint at an animal waste remediation company, Williams returned to NC State to lead the Animal and Poultry Waste Management Center in 1993. There, he was tapped to oversee the testing of technologies developed as potential alternatives to the lagoon system. The task was herculean: find environmentally sound technology that was also cheap to implement. The legislature had already laid out parameters for what constituted environmentally superior technologies. Mostly, to meet that criteria, the technology had to eliminate something — surface or groundwater discharges, ammonia emissions, bacteria and pathogens, or detectable odors. But so much remained undefined. Williams had to convene a nine-member engineering committee to set the threshold for “substantial” elimination, and a 27-member economic committee that included industry representatives, environmental advocates and economists to figure out what costs were acceptable. As the committee worked, Williams narrowed 100 proposals down to 15 to test on full-scale farms. The team looked at projects that covered the lagoons and used the wastewater to water a greenhouse, those that used a conveyor belt system and others that separated solid from liquid waste or treated the waste with chemicals. Williams produced two interim reports, in 2004 and 2005, providing detailed analysis on the odors, pathogens and nitrogens that the technologies sought to reduce. Meanwhile, the engineering committee determined that substantial elimination of odors and nutrients would be set at 60 percent. The economic committee attempted to hash out how much of an impact was too much. Environmental advocates pushed for social benefits to factor into the calculation. Industry representatives pushed against anything they said would put North Carolina hog companies at a competitive disadvantage unless there were byproducts, like energy, that could be sold to offset the costs. The committee settled on a threshold: No more than 12 percent of the state’s hog farms could be forced out of business in exchange for more advanced technologies. The majority of the committee signed onto the report, but the industry representatives — Smithfield, two of its subsidiaries and an agricultural bank — prepared a dissenting report. Williams looked at the promising technology again, this time, through an economic lens to prepare his final report. 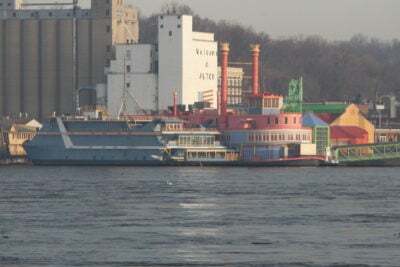 The findings Williams presented to the state Environmental Review Commission in March 2006 landed with a thud. One technology met all of the environmental criteria for newly constructed hog farms, but it was too expensive to retrofit existing hog farms. At the time, it cost around $400 per 1,000 pounds of pigs to install — the lagoon system cost $87. 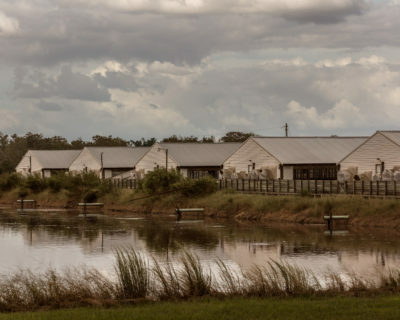 The next year, the legislature permanently banned using open lagoons to store hog waste and required new or expanded farms to meet strict environmental standards. But any farm whose permit had been issued before 2007 was grandfathered in, allowing it to continue operating without installing any new technology. Though the research dollars were exhausted, Williams was still hopeful. He cobbled together grant money to test new generations of the technology, issuing additional reports as recently as 2013. At last check, the third-generation of the system was around $200 per 1,000 pounds of pigs — still too high to qualify as economically feasible. The state is doing what it can to mend the destruction Hurricane Florence brought. Cleanup comes first. 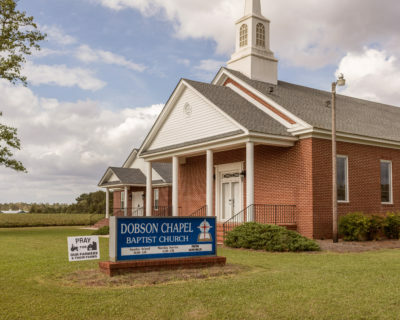 During an October visit, front doors sat open, the contents of homes — refrigerators, chairs, trash cans and clothes — piled in the ditch that runs along the side of Route 41 into Beulaville in Duplin County. Blue tarps served as temporary roof patches, and cottony pink insulation seemed to be everywhere. Weeks after the storm, hotels from Wallace to Goldsboro remained sold out, their rooms housing residents still displaced from Florence. 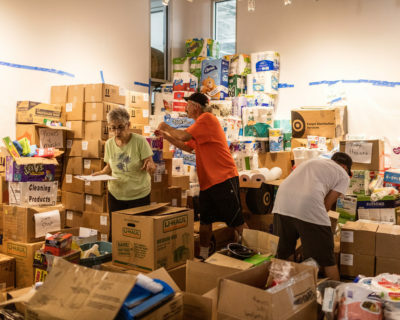 The North Carolina General Assembly approved $850 million in relief aid for those affected by Hurricane Florence. The state Department of Agriculture and Consumer Services is offering its fifth buyout of farms in the 100-year flood plain — the same program it started after Hurricane Floyd. For their part, the current top elected officials in North Carolina aren’t open to addressing questions about the Smithfield agreement. Roy Cooper, who served as attorney general from 2001 until he became governor in 2017, referred questions about hog lagoons to the state Department of Environmental Quality and to former state lawyers for information about the Smithfield agreement’s progress during his tenure as attorney general. Around this region, everywhere there are signs of staunch loyalty to the industry. They stand like political endorsements on yards, on billboards and on church marquees around Duplin County. They are in response to the nuisance lawsuits filed by other residents who live near hog farms around the state. The suits do not name any individual farmers but instead target the parent company for the waste management practices on its contract farms. However, hogs have been reportedly pulled off of at least two of the farms that have been subject to lawsuits so far. So, the farming community takes the lawsuits personally. The state legislature has taken sides since 2013 when the lawsuits were filed. In 2017, the General Assembly overrode a veto to pass a law that caps damages in nuisance lawsuits to the value of the plaintiff’s property. And in June 2018, the legislature passed a bill that put additional strict restrictions on when those suits can be filed and when punitive damages can be awarded. This year, Smithfield contributed $72,800 to candidates in state races, according to campaign finance data from the state Board of Elections. Rep. Jimmy Dixon, who sponsored the 2017 law, got the biggest slice of Smithfield’s contributions: $10,400. The leadership of the House and Senate — Tim Moore and Phil Berger, respectively — each got $7,700, while coastal Sen. Bill Rabon, who chairs the Senate Rules Committee, got \$6,500. Herring, the Wallace resident who is a plaintiff in one of the nuisance lawsuits, brushes off those critical of her case. For her, the case isn’t about money. If she wins, she said she plans to stay in her home — a pink house with a screened in porch, on a gravel street named after her mother. Do you have access to information about disparities in environmental impacts that should be public? Email [email protected]. Here’s how to send tips and documents to ProPublica securely.